How many people in this photo? I love this photo…it was taken about ten minutes before my presentation for the Perth Writers Festival started. Do I look nervous? NO! And thanks to the disembodied head: it has travelled with me on so many journeys. Maybe one day we’ll find the rest of her? 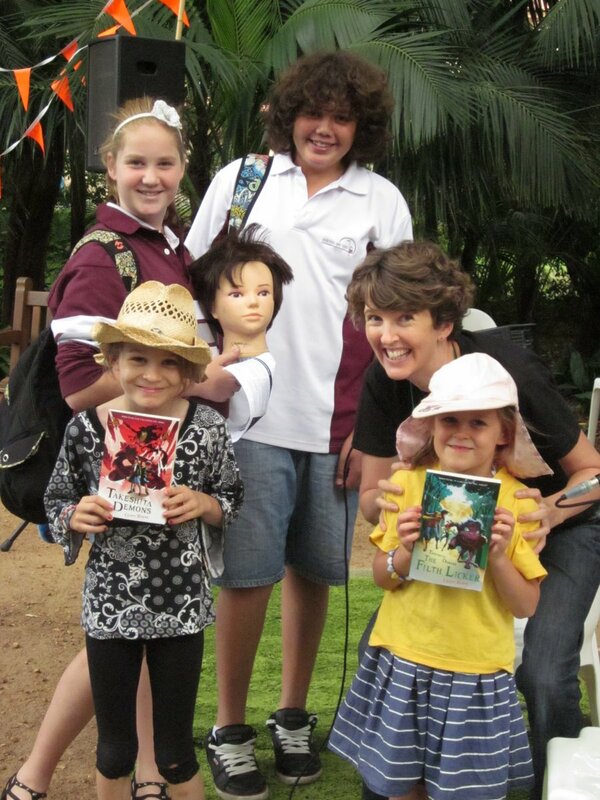 Tags: appearances, disembodied head, Perth Writers Festival, Perth Writers Festival Family Day | Permalink.